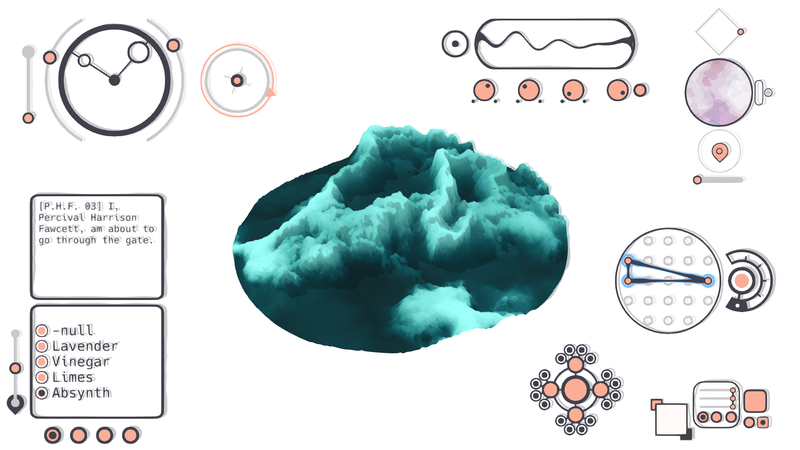 Mu Cartographer is an experimental exploration game that can be enjoyed as an interactive visual toy. Learn how to use a set of strange tools to shape the world as you wish, and go on a treasure hunt through a multitude of colourful landscapes. 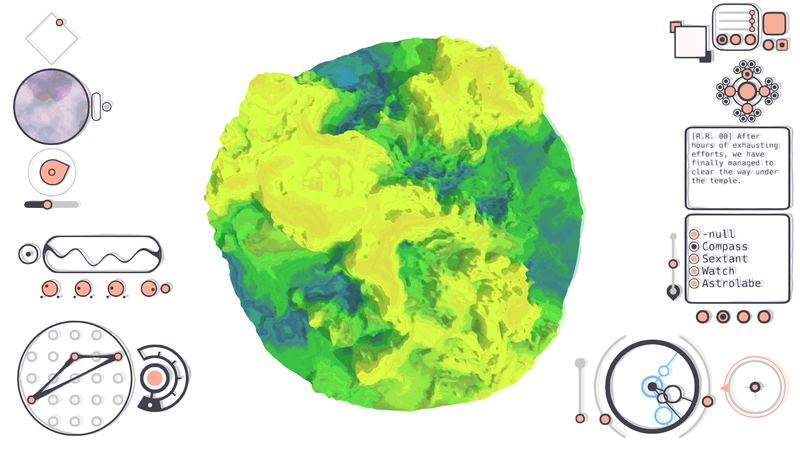 Mu Cartographer started as a shader experiment at Exile Game Jam during spring 2015. I became interested in what was happening on the screen, so I decided to work further on it. 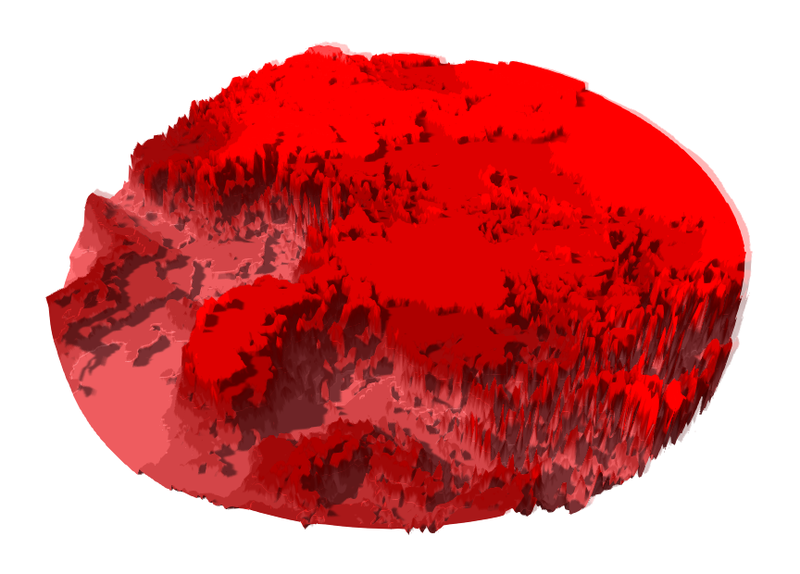 This experiment became my main project. 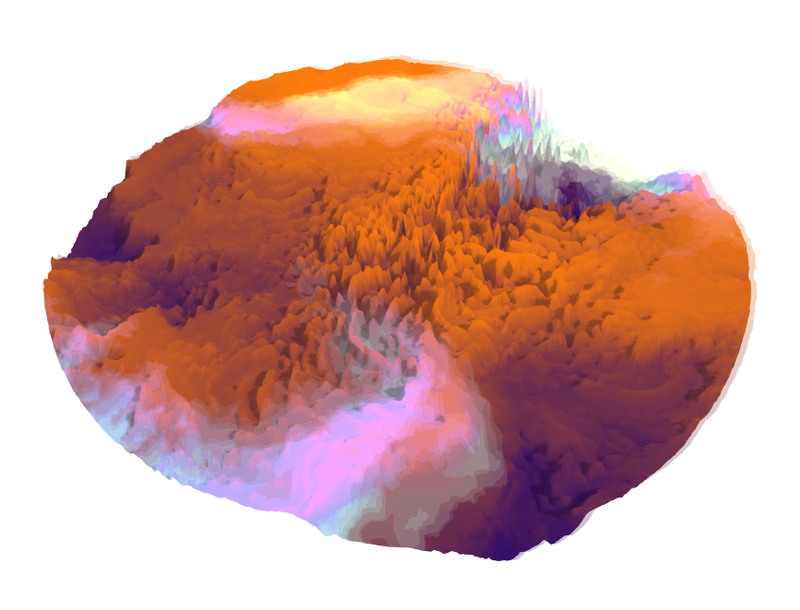 I worked on Mu Cartographer for one year, and it became a full game, while keeping its strong experimental and contemplative part. 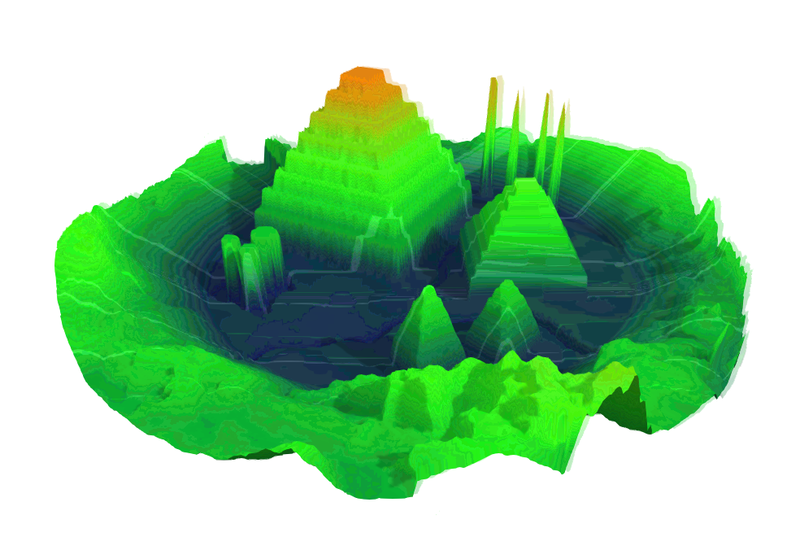 There are far more images available for Mu Cartographer, but these are the ones we felt would be most useful to you. If you have specific requests, please do contact us! 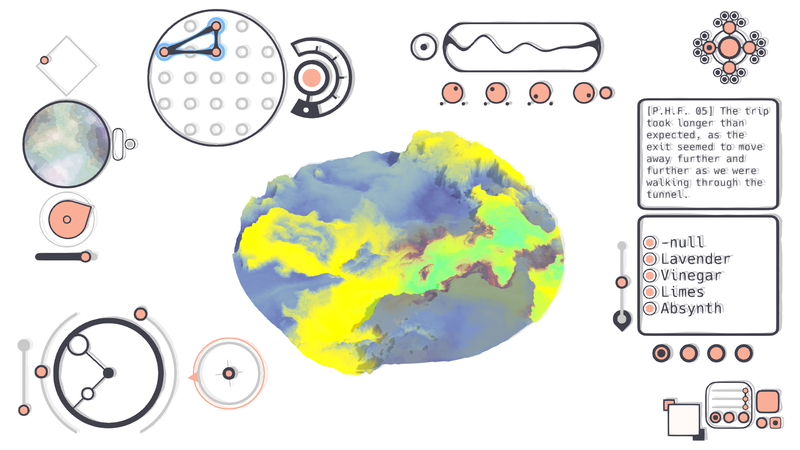 Screenshots and gifs from the development of Mu Cartographer: twitter.com. Design, development, art, sound, writing.